Never doubt nerd power, my friends. PORTLAND, Ore. — Dungeons and Dragons has moved from your friend's basement to the digital age. At least for the hit Twitch/YouTube show Critical Role. 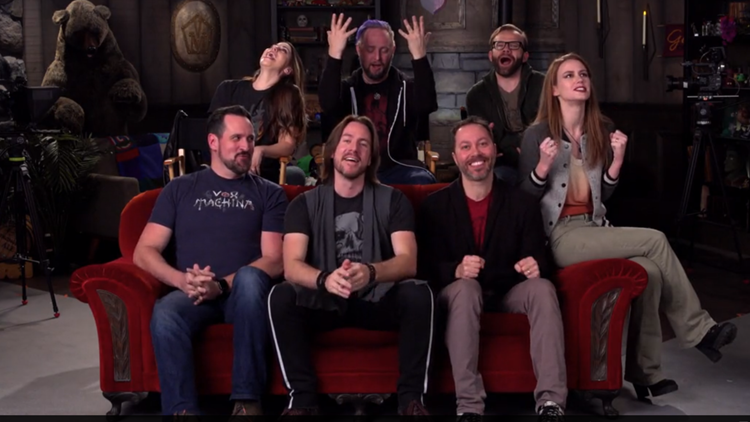 Critical Role is a group of friends (and talented voice actors), who sit around and play D&D. The episodes air live on Twitch and are later put onto YouTube for the viewing pleasure of literally millions. Well, the group started a Kickstarter asking for $750,000 to create an animated special on their Vox Machina D&D campaign. The Kickstarter is about to reach $3 million, sitting at a cool $2.8 million with other 21,000 backers as of 4 p.m. PST. The number is climbing at a steady and alarmingly fast rate. Edit: as of 5:22 p.m. PST, the Kickstarter reached $3 million. Never underestimate the power of nerds. You can find out more about the project by checking out the Kickstarter page. You can also see the cast of Critical Role at Emerald City Comic Con. Destiny Johnson is a digital investigative reporter at KGW. She reviews comics once a week on YouTube. You can tweet at her @hello_destiny.